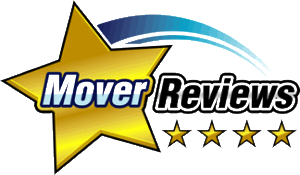 Hold A Moving Sale - Moving Services Inc. | Moving Services Inc. Some tips on why, when, where and… how. Why Hold A Moving Sale? You’re about to relocate and along with that comes the task of moving all your goods. Now is a good time to decide what you will keep and what you wish to leave behind. A moving sale can reduce the weight of your shipment and the cost of your move. Also, of course, a moving sale can generate additional funds that may offset other expenses. The key to a successful moving sale is determining what you no longer use, have outgrown or what you can easily replace at your new home. Remember, what may seem worthless to you is another person’s treasure. And who knows, if you haven’t sold your home yet, a moving sale may even attract the right buyer! Ask your family members about items they wish to sell, they may desire to sell more things than you imagined. Or, you might organize a “neighborhood” sale and pool the efforts of other families on your street. Set a date and a time as soon as you can. Fridays and Saturdays are usually best; however, try to avoid holiday weekends. Establish a rain date if you think it may be necessary. Determine the hours, such as 8:00 a.m. to 4:00 p.m. Many shoppers like to be first in line, so be prepared for early arrivals. Check with local authorities about restrictions for sales in your area. Once you have a location, decide if the sale will be in the garage, yard or basement. Make sure there is ample parking and space for people to move about. How they calculate costs — by column inches, number of lines or number of words? What is the cost to run the ad Friday and Saturday vs Saturday only? What is the additional cost for a bold headline? What is the deadline for submitting an ad? Mention the most popular items in your ad, such as furniture, appliances, tools, electronics, etc. Consider including your phone number so people can call for more information about sale items or for directions (this is especially useful if you live in an obscure area). Set up a cashier’s desk (a card table will do fine) with a calculator, scissors, tape, string, markers, a cash box and plenty of change. Look at your list of items for sale. Visit secondhand shops, retail stores, etc. to determine prices for each. Record the price on a tag or sticker and place on the item in an easy-to-see location. Use different colored stickers or an identification code on the tags if more than one family is involved in your sale. Start saving shopping bags and cartons to make it more convenient for customers. Have tissue paper or newspaper on hand to wrap glass, knickknacks and other fragile purchases. Bundle or package all sets, groups, or units together so customers know what they are getting. Put loose game pieces in a sealable bag and secure inside the box. Set up the yard, garage or basement so that all “For Sale” items will be separated from items not for sale. Display items in groups according to type, such as kitchen utensils, sporting goods, tools, etc. If possible, hang clothing on a clothesline or rack for easy viewing. Set up a cashier’s desk with a calculator, scissors, tape, string, markers, a cash box and plenty of change. Be prepared for the weather to change at any time. Have several large sheets of plastic handy to quickly cover everything. To keep the kids busy, buy a few varieties of soft drinks and bottled water. Ice them down in a cooler the night before. Tell the kids that the money they earn selling drinks is their reward for helping. On a hot summer day, a cold drink will be a welcome relief to shoppers. Assign everyone a responsibility for the day, like cashier, clerk, organizer, etc. Now You Are Ready For A Successful Moving Sale!